For more than 35 years, Carson Landscape Industries (CLI) has been a leader in the commercial landscape industry. Employing the latest horticultural practices and understanding the changing needs of our clients and the industry as a whole has kept the company ahead of the curve. In 1999, CLI launched TurfPro to provide residential clients with a custom approach to fertilization, weed control, irrigation and landscape services. 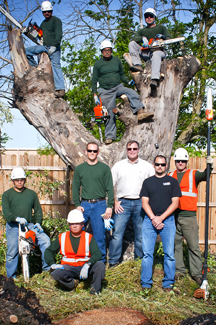 In 2010, after recognizing an unmet need for tree care specialists, CLI added a new division to the company called The Grove. Through a team of professional arborists, The Grove provides specialized total tree care service for clients throughout Northern California. Learn more about Carson Landscape Industries and TurfPro.